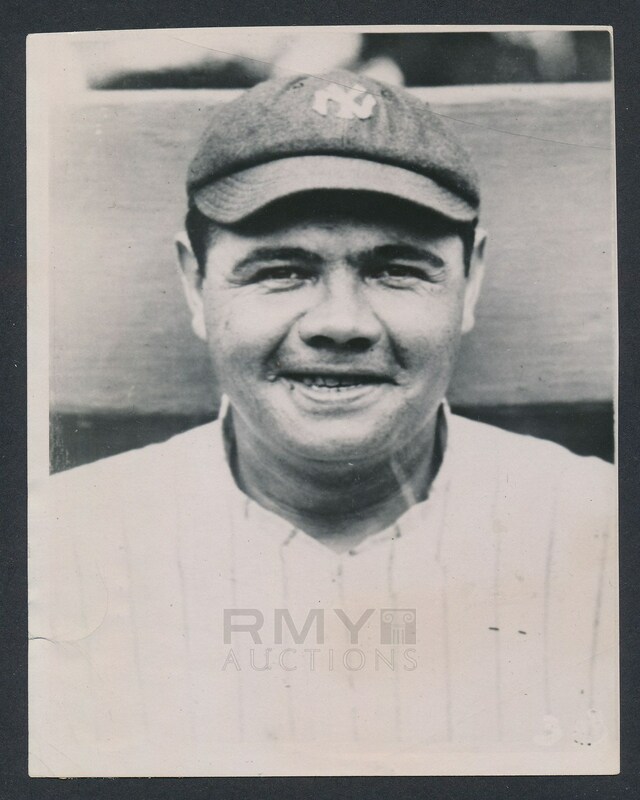 1920 Portrait photo of Babe Ruth from the New York Yankees. One of his most iconic images ever taken which was used for baseball cards, candy bar wrappers, advertisements, magazine covers and reproduced in publications thousands of times. This is an original from 1920 (trimmed and re-used in 1923 for a different story on Ruth) by the International News with most of the stamp still present on the back. 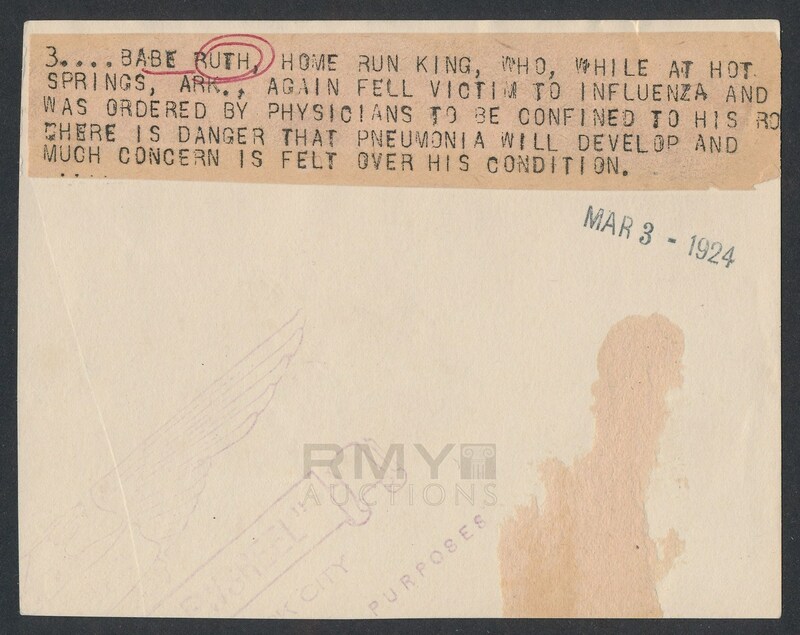 The presence of the sideways paper label that was removed and the addition of the current label and stamp is evidence that this was issued in 1920 as part of a composite image of Yankees players and then the Ruth photo was trimmed off and then re-stamped in 1923 for use in a new article about his illness in Spring Training. A nice condition example and with bold tones, this is one of only a handful of this image that is FROM 1921 that exists! An important image of the greatest athlete of all time.